"Not much meat on her, but what's there is cherce" That was Spencer Tracy speaking of Katherine Hepburn in Pat and Mike (1952). He was speaking of quality, back in the day when it was not only acceptable to think of your honey-bunny as choice meat, but it was also a compliment. Everything is a matter of choice, and sometimes the choices are tough. Yesterday when I spoke of the casting choices that are made during the process of hiring talent for a project, I was reminded of something writer slash producer Jim Henshaw said in his excellent, thoughtful and thought provoking blog (Legion of Decency) on the casting choices directors and producers must make. Sometimes it's not always the best actor for the job, that gets the job. Old Joke: how many actors does it take to change a light bulb? Ten. One to change the bulb, and the other nine to stand around saying "I could have done that. Better!" At a certain level in the profession, once a casting director has brought us in to audition, we're all pretty much capable of doing the job, of remembering our lines and not bumping into the furniture. Sometimes the reasons for not hiring are pretty mundane: he's taller than the star; we already have a bald guy with a mustache; her coloring's too close to the star; we worked with her once in 1977 and she's difficult. And the reasons for getting the job, much the same: they make a nice couple; she made me laugh during the audition, she'll brighten the mood on set. I was listening to director John McTiernan's comments on the The Thomas Crowne Affair DVD and he states that he hired one actor because: "I liked his eyes". In the collecting world it's also about choice. Why do we collect what we do? 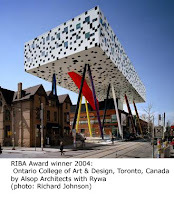 Once a year or so, I give a talk at the Ontario College of Art & Design (OCAD) in my friend anthropologist Lynne Milgram's class on Material Culture. It's an informal kind of talk and one of the topics o' the day is consumer choices. And semiotics. Why do we choose the objects and clothing we choose and what message are we conveying by our choices. Collecting to me implies a goal, as in: "I'm trying to collect all of the Rolling Stones memoribilia including the 1969 commercial they did for Rice Krispies.It's very hard to find." It also assumes either scholarship or other arcane knowledge: "If you're buying the Oscar Goldman figure make sure that his exploding briefcase isn't missing. It's the first thing that gets lost." I don't see myself as a collector, I'm more of an accumulator. I see things as sculptural, their appeal visual as well as historic. Poet Irving Layton once told me that poetry is words talking to one another. I pretty much think of antiques and art on a shelf as visual poetry, juxtaposed and just sittin' around talkin' to one another (and sometimes arguing bitterly).